Roku boxes are cheap easy to use and stream everything from HBO to Pandora or its counterpart Netflix. The remote-like Roku clicker is so small that they can easily be misplaced. However, just because they are so small they are convenient to carry even in a pocket to practically anywhere. But with technology reinventing itself, Roku has reinvented itself by jumping into the smartphone market as well. 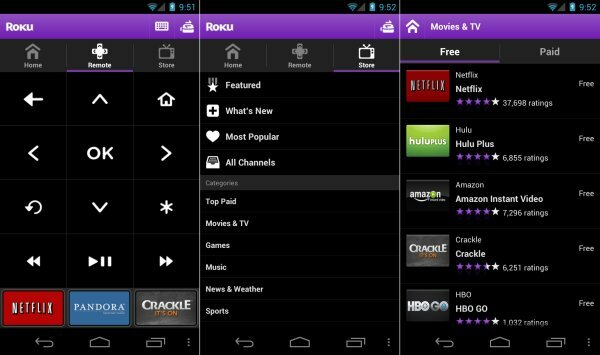 Yes, the magical world of Google Play Store has unleashed Roku for Android – a full-feature remote to the Android phone or even a tablet. It uses the home internet network to connect to your Android. The Android app allows you one-tap access to all the channels that you have subscribed to so that you no longer have to go the tired out route of having to go to the Home screen and then scroll through the list to find the channel you were searching for. Its features also include the ability to browse easily and quickly through all the channels in the entire library and even customise the channel listing by adding or removing channels as per personal requirements. So it’s no longer just remote-like features, it’s a personalized all-in-one entertainment controller. The Roku Android app is almost a replica of the remote for it has buttons on its interface that act exactly like the button controls and thus it gives the feel of a very handy remote. It allows you to do everything that your remote does and faster and more easily. No longer do you have to worry about lost remotes or multiple remotes to ensure you can always access cable. All you need is Roku. The Roku app has an in-built keyboard for quick search and navigation which makes accessing channels much faster. To add to the awesomeness, this Android app is free and that’s one of its biggest draws. A free remote. Who doesn’t need one of those? It has a Launch Channel by Voice option which does exactly as the name suggests. It allows you to use voice controls to say a channel name aloud which the Android app recognizes and automatically filters through its database to pull up the corresponding channel. The top bar has basic functions listed out. These include My Channels, Remote, Store and Play on Roku. Clicking on a channel on the My Channels tab will give a list of details about the channel while the Stores segregates items into Categories for convenience in browsing. 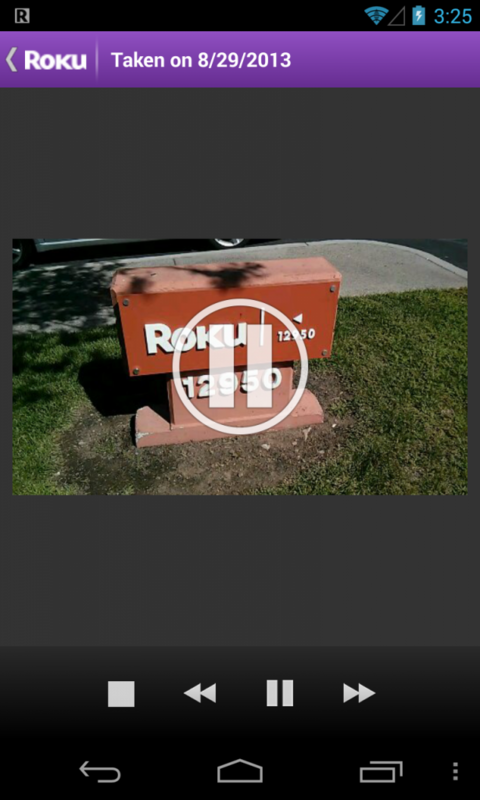 Roku allows you to even go through still photos and just audio clips rather than only videos. It offers on top of that over 1000 channels to browse through. It offers the ever-amazing instant playback feature for your device, which is something that hardly any video streaming apps on the mobile platform can offer you currently. This is a great advantage in case you miss something or want to re-watch it. You can go as far as to rate whatever you watch so you know what you want to come back and see again and what wasn’t worth it the first time round. Roku allows you to search for videos across multiple channels rather than a single channel. An apt example of this is the fact that it cross references things on Amazon Instant Video, Netflix, Hulu Plus and other channels and gives you a listing of all the available channel that provide the service that matches your search, be it a television show or a video. It’s one hell of an appetizer to feed your entertainment hunger with a near limitless cuisine of video content! Make sure you get the viewing pleasure you deserve by downloading the Roku Android app from Google Play Store today!